Smoking Is The Fact Of Mental Disease!! The cleaning agency is done and the cleaners are off. You did some final touches and now the house cleaning is complete. But surely, the work is not done. Now you need to put everything in order. Believe it or not, some things are harder to put together than others – and we are not talking about furniture here! Stand in front of your wardrobe and open it. Do you see that chaos of clothes? How fast can you find your favorite sweater? If the answer is ‘not at all that fast’, you need to do some reorganizing. Here are some helpful suggestions that might lead to easier ways of finding the summer T-shirts. First of all, take everything out. You can’t start neither cleaning nor organizing if you don’t know what you are organizing, or even how many pieces of clothing you are dealing with. Now start sorting. Underwear, upper body wear, lower body wear, etc. Fold everything and put it in neat piles of the same type of clothing. Pants go with pants, T-shirts with T-shirts, sweaters with sweaters, etc., you get the picture. It is also a good idea to separate your casual and formal wear, and put them into different piles. It’s annoying grabbing the same home shirts all the time while looking for that fancy one you recently bought for tonight’s occasion. Further separate your clothes into seasonal clothes. You don’t need to mix the light summer T-shirts with the thick winter garments. 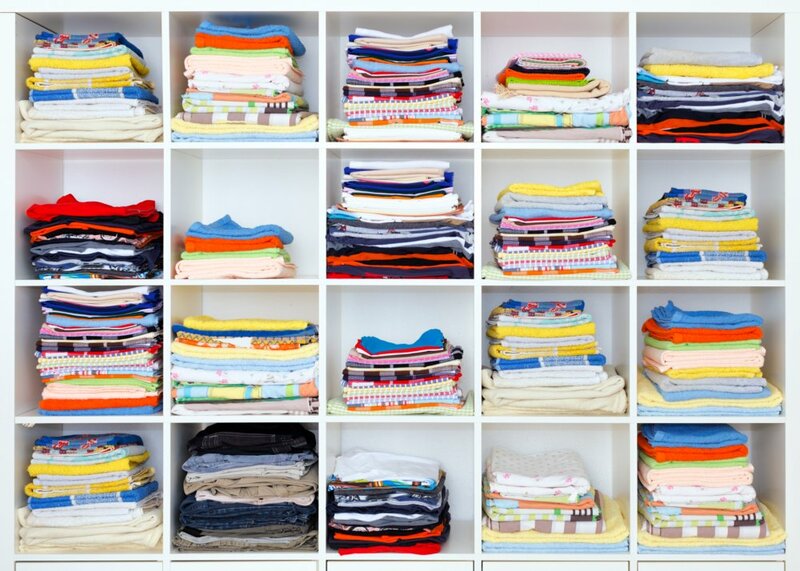 If you separated everything so far, you should have roughly twelve piles – an upper-body pile, a lower-body pile, and an underwear pile, each separated for every season. How much wardrobe space do you have? 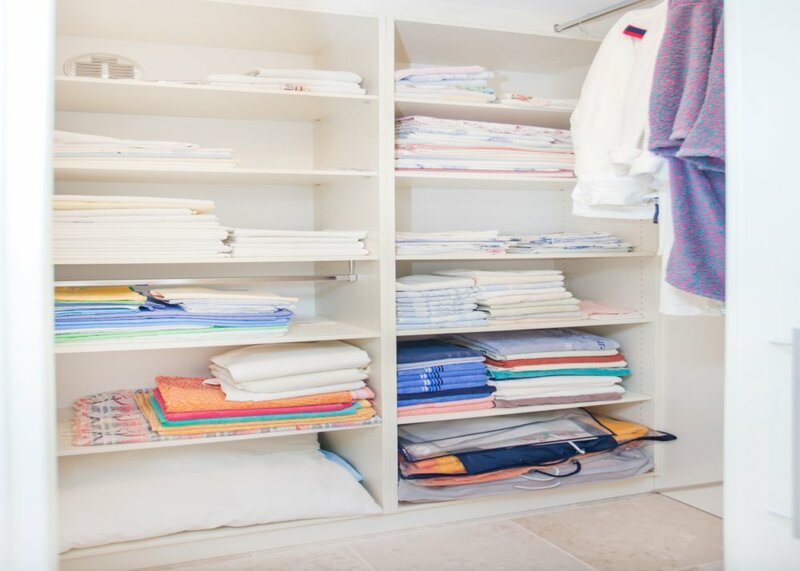 A standard wardrobe with shelves should easily contain a single person’s entire repertoire of clothes as you should be able to fit two to four piles of clothes on one shelf. Shove the clothes you are not about to use too often in a back pile, and put your more frequently used ones in the front. Put the underwear and socks into drawers, don’t take up wardrobe space for them. If the wardrobe is big enough, it should have a section for coats. You can use it either to store your winter coats, or even better, use the coat-hangers to hang up your suits, dresses and formal shirts. Get either a drawer, or a coat-hanger for your ties, depending on how many you have. If there is any space left, use it for clean dry bathroom towels, nightgowns, or bikini and slips. With the newly organized wardrobe, now you won’t have any trouble finding the clothes you need for any occasion. Now, not only is your house clean, but you have taken the first steps to make it look orderly.